Nature isn’t a faraway place you take your kids to visit on vacation. CWF offers children’s summer programs right here in New Jersey that will help your kids ignite a life-long love of nature and improve their quality of life, now and in the future. The Wildlife Explorer Program at Duke Farms, Hillsborough NJ, Somerset County, runs from July 15-19 for kids entering grades 3-5 and July 22-26 for those entering grades 6-8. Beach. Birds. Biology. A Wildlife Adventure. 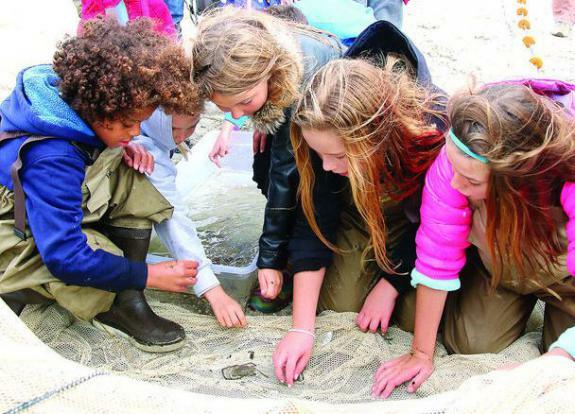 This program for kids entering grades 4-6 will be held at Belmar, Shark River Inlet, Monmouth County and at Barnegat Light, Ocean County, on July 17 (Rain Date 7/18). The Bayshore Adventure Program is held at Leonardo State Marina, Monmouth County, for kids entering grades 3-8, on August 5-9, August 12-16, and August 19-23. This entry was posted on Wednesday, March 27th, 2019 at 12:09 pm	and is filed under Education, Events, Outdoor Recreation. You can follow any responses to this entry through the RSS 2.0 feed. You can skip to the end and leave a response. Pinging is currently not allowed.